This step is not entirely necessary, but i think it makes the dish! 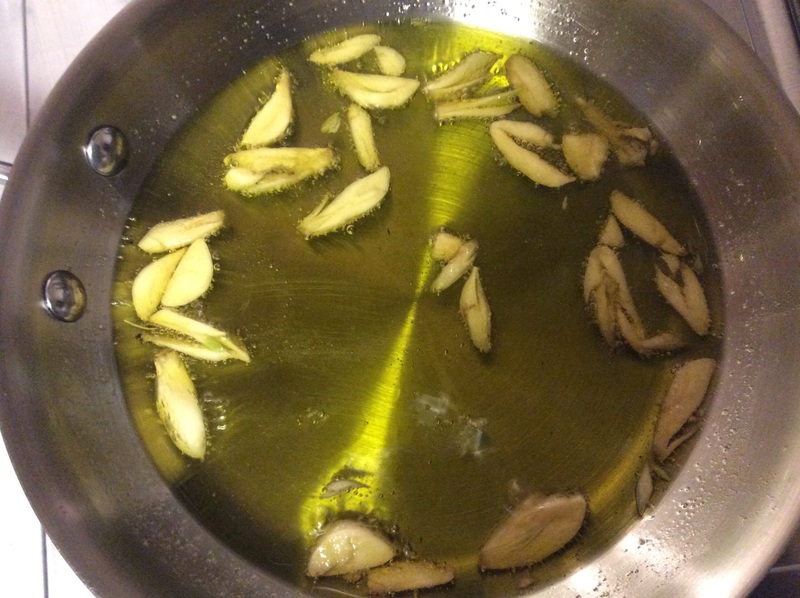 Chop 4 cloves of garlic roughly and add them to 1 cup of olive oil in a cold pan. Heat the pan on medium until the garlic begins to bubble. Once you see bubbles, turn the heat to low and simmer until the garlic is golden brown but not burnt. This will infuse the oil with garlic flavor and add great flavor! 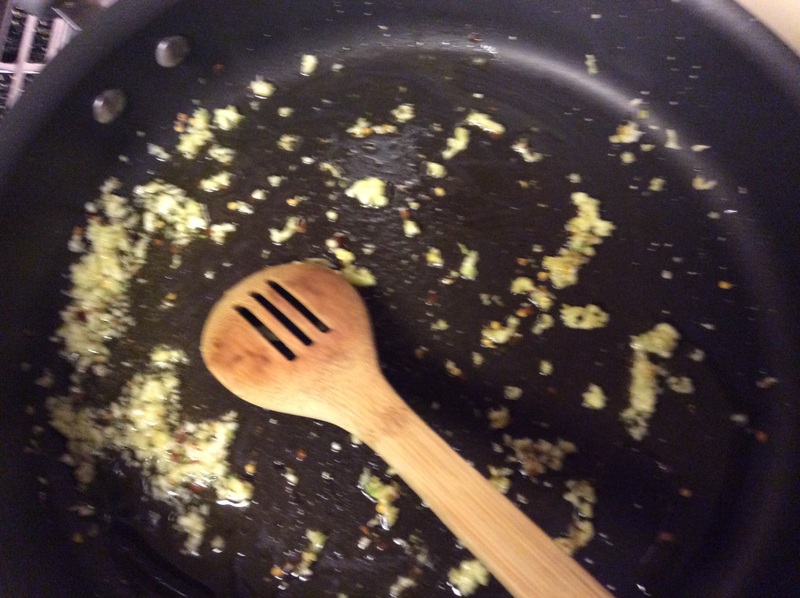 Discard the garlic and set the oil aside. Boil the Spaghetti. I am not going to explain how…If you used my homemade pasta recipe it explains how to cook fresh pasta, otherwise simply follow the instructions on the box. When the pasta is done mince the remaining 2 cloves of garlic and add them to a large frying pan with a few tablespoons of the infused oil on medium heat for about 1 minute. Top with parmesan cheese and parsley and enjoy! 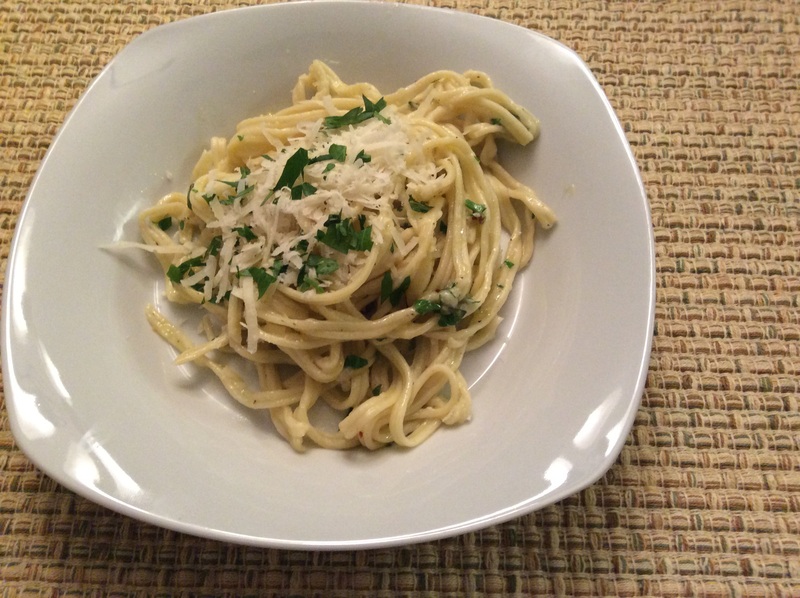 This entry was posted in Recipes and tagged Olive oil and garlic pasta, Spaghetti aglio e olio. Bookmark the permalink.